When you walk into Mad Giant we know who you are. You’ve earned the furrow in your brow and the grit in your attitude. You punch above your weight and have come to quench your thirst with the boldest of beers. Let’s pull you a pint at our award-winning bar and show you why we deserve the medals on our bottles. 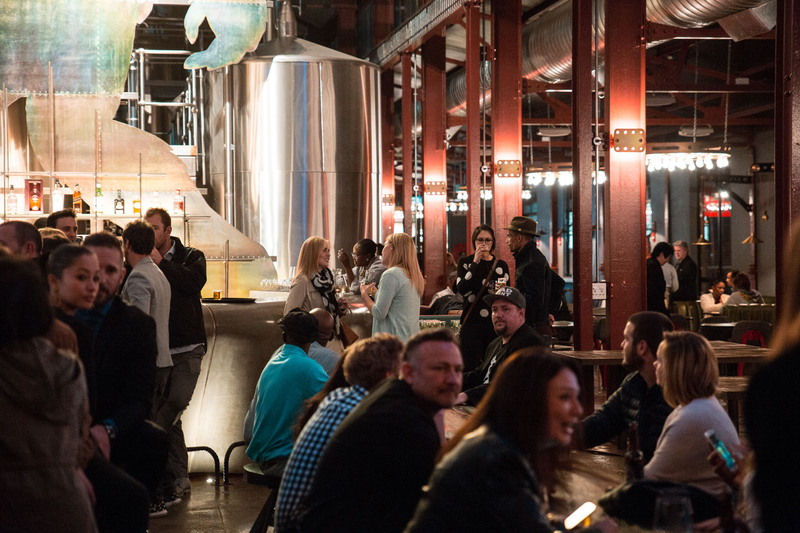 Our brewery is set up in a rejuvenated industrial precinct. Built to provide what was needed most at the time – from casting Jozi’s first gold to a car pimp shop to fine dining and finer brewing, the space has served to house giants of quality. Look beyond the colossus watching over the bar and you’ll see our brewhouse where our all-malt beers start their journeys. Book a tour and one of our brewers will take you through our brewery with a beer in your hand. Look to your left and you’ll see the kitchen of Urbanologi, our highly acclaimed Urban Garde restaurant. Have some unique Asian street food paired with a tasting of our delicious selection of beers. In addition to our core range of beers, we have a reserve of limited releases that you will struggle to find anywhere else. These beers are filled with the essence of Mzansi. The next time you see a Mad Giant staring at you from over a tap, you’ll know what you’re having. You won’t leave until you’ve had another and a smile smacked onto your face. 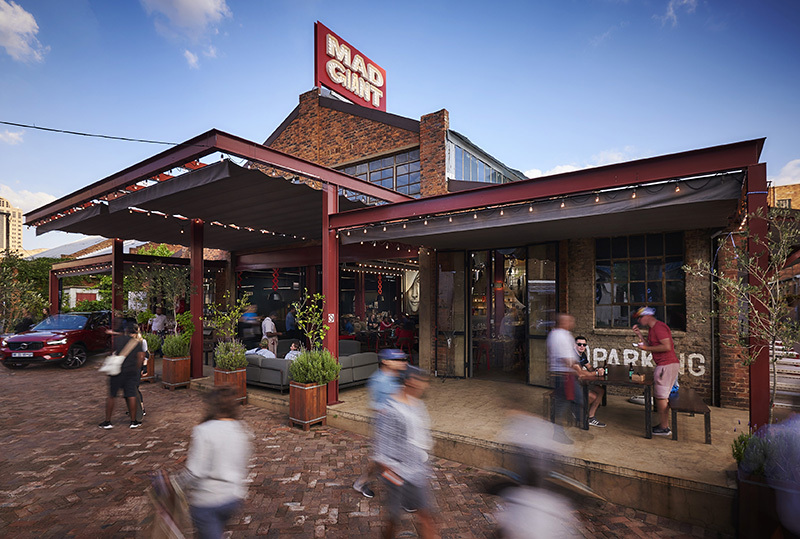 THE MAD GIANT TASTING BAR AND URBANOLOGI RESTAURANT ARE AVAILABLE FOR SMALL AND LARGE EVENTS. WE CAN TAILOR MAKE A MENU, ARRANGE A BREWERY TOUR AND A BEER TASTING THAT FITS YOUR FUNCTION. EMAIL INFO@MADGIANT.CO.ZA OR CALL 011 492 0901 TO FIND OUT MORE.